Philistines living at Yavneh used hallucinogenic drugs, according to Israeli archaeologists. The Dhamar Regional Museum in Yemen was destroyed in a Saudi airstrike. It was completely destroyed, according to these photos. Revelers at a Burning Man festival destroyed prehistoric remains near Nahal Boker in the Negev (more at Haaretz premium). The US has returned 25 artifacts looted from Italy, including a first-century BC fresco from Pompeii. This week’s guest on the Land and the Book is Dr. Filip Vukosavovic, Curator at the Bible Lands Museum in Jerusalem. Coming to theaters in January: RISEN. 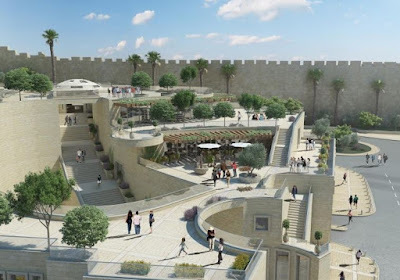 Final deliberations have begun on the fate of an archaeological center in the City of David.